Sarah F. Wells Heighway, age 83, of Noblesville, IN passed away April 13, 2018 at her home. She was born September 7, 1934 at Embreeville, TN to Harry and Mary (Hodge) Rogers. 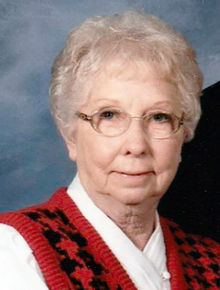 She was a graduate of Elizabethton High School and of the Indianapolis School of Practical Nursing. She became a Licensed Practical Nurse in 1969. She was also owner and operator of Lakeview Guest Home at Carmel, IN for several years. In addition, she assumed the responsibility of administrator for the Kokomo Convalescent Center for three years. Lastly she worked for the Indiana State Board of Health at Indianapolis for on-site surveying of skilled and intermediate nursing homes and residential care facilities to ensure that licenses were current and certification requirements were being met. She had planned and implemented national and state health care conventions and education programs and had served as a panelist and lecturer for those entities. Memberships include several professional associations, plus she was a 25 year member of Carmel Chapter of Easter Star, and a long time active member of Bethel Lutheran Church at Noblesville. Sarah was also a founding member and Queen Mum of the Sassy Sisters Red Hat Society. She married Seth Ted Wells in 1953 who preceded her in death in 1987. She later married George F. Heighway in 1990 and he preceded her in death in 2015. In addition to her husbands and parents she also was preceded in death by a son: Kenneth Wells, a brother: Joe, and sisters: Georgia, Hester, Hazel, Ruth, Ruby, and Becky. Surviving her is a daughter: Teresa Lee Shafer of Lebanon, IN, step-daughter: Ann Heighway of Fishers, IN, step-sons: Rob Heighway of Indianapolis and David Heighway of Noblesville, sisters: Eula Pierce and Wanda Townsend of Elizabethton, TN, grandchildren: Brandon, Brandy, and Taylor Shafer, and Riley, Mike and Nick Heighway, great-grandchildren: Caden Shafer, Dakota and Davian Malone, and Austin Heighway. Funeral services will be held Monday, April 16, 2018 at 7:00 P.M. at Bethel Lutheran Church, 20650 Cumberland Road, Noblesville, IN 46060 with Pastor Douglas Gast officiating. Visitation will be from 5:00 to 7:00 P.M. prior to the services. Then Saturday, April 21, 2018 there will be a time of visitation from 11:00 A.M. until noon at Memorial Funeral Chapel with burial to follow at Happy Valley Memorial Park both located at Elizabethton, TN. Memorial contributions may be made to Bethel Lutheran Church. Arrangements are entrusted to Hartley Funeral Homes Cicero Chapel where you may send condolences at http://www.hartleyfuneralhomes.com. Add Photos, Videos, Music that tell the story of Sarah's life.